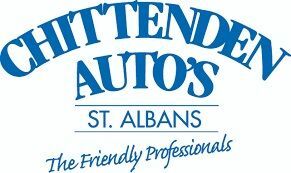 Chittenden Autos (The Friendly Professionals) have been established in St.Albans for over 35 years with over 160 years combined experience in the motor trade. We are proud to provide a personal face to face service to all of our customers. Our range of services includes Servicing, MOT's, Electronic Diagnostics, Bodywork, Tyres, Exhausts and General repairs. Our aim is to keep your vehicle in tip-top condition and when you book your vehicle in for repair to keep the vehicle off the road for the shortest possible time. We also offer a collection and delivery service and courtesy cars. Contact us on 01727 866187 or e-mail [email protected] to discuss all your motoring needs. Excellent garage, will def use again. Polite and courteous garage. Car serviced promptly, washed and ready for collection when they said it would be. Recommended.